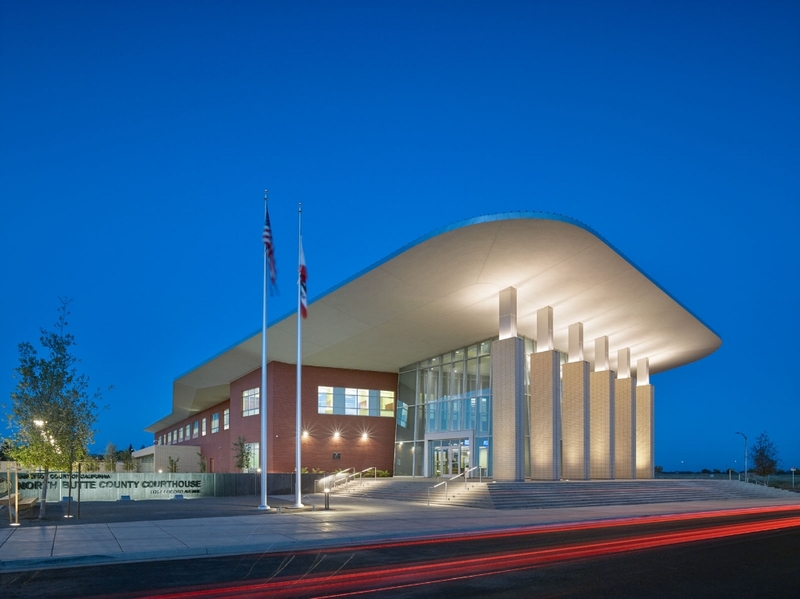 The Butte County Courthouse is a modern two-story courthouse located in the Meriam Park Development. The courts building is located at the south end of the site creating a strong urban edge facing onto a proposed public park across the street. 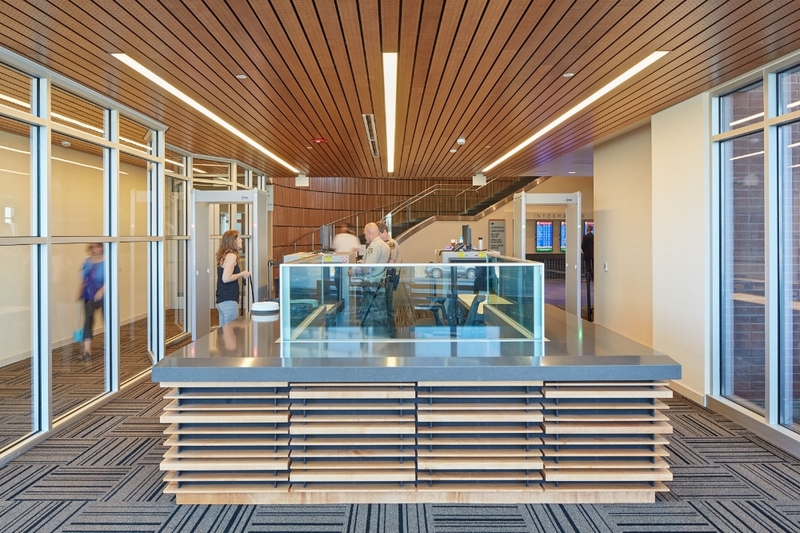 The primary public circulation is located along the south elevation of the building providing views and access to daylight. The elevation is articulated by a series of double height stone clad window seats that project out over the widened pedestrian sidewalk that is shaded by large specimen trees. 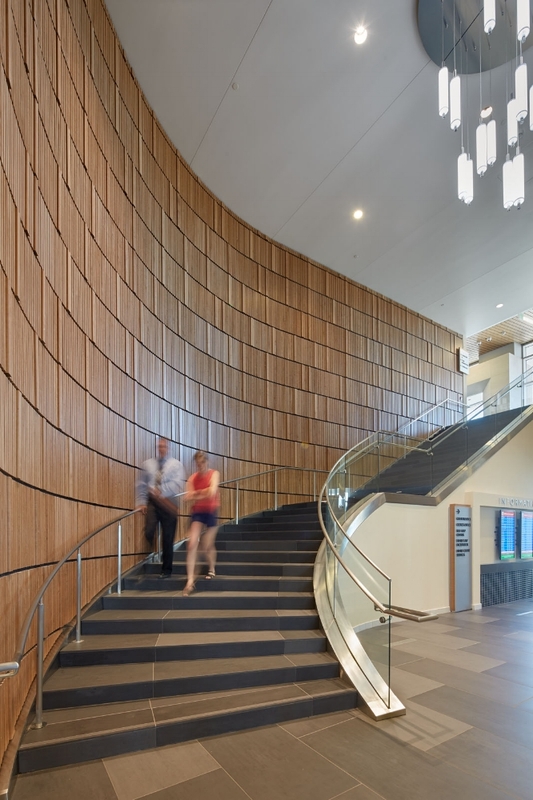 The form of the Butte County Courthouse is informed by climatic, civic and functional requirements that will create a distinctive facility that is a reflection of Chico’s rich and unique culture and environment. 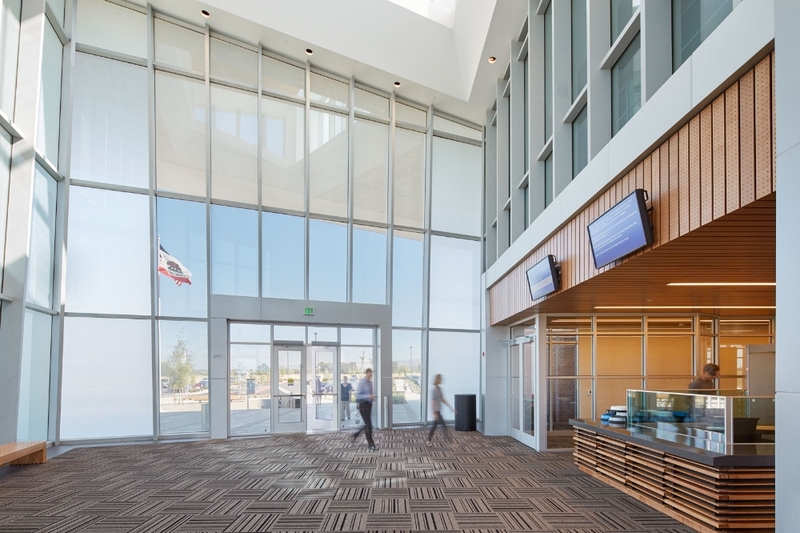 It is a 21st century courthouse that is designed to make a lasting contribution to the future history for many generations of Butte County residents.